1. Add the product to the Import list. 2. Click on the "Action" button and then "Split Product". 3. 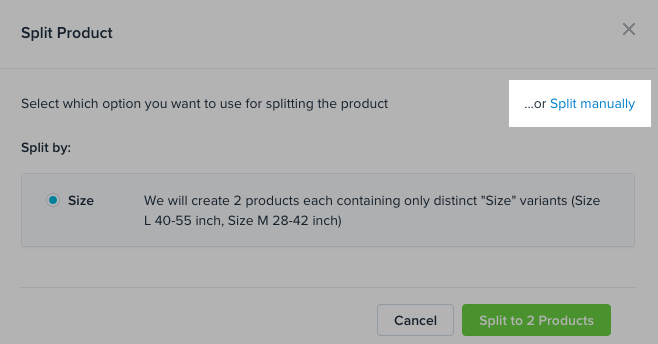 If you want to split the product by the specific option such as by "Color" or "Size", choose it from the pop-up window and click "Split to X Products". In this case, we will create a separate product for each option variant. 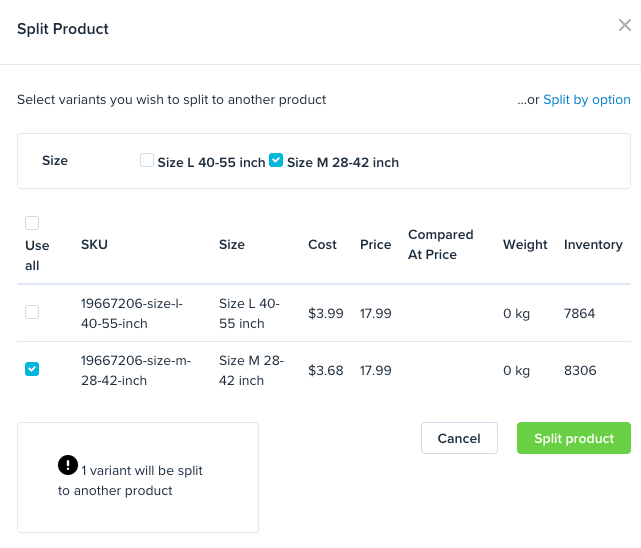 If you have one product with "L", "M" size variants and you select to split it by size, you will end up with two different products each representing only one size (1 x L, and 1 x M). 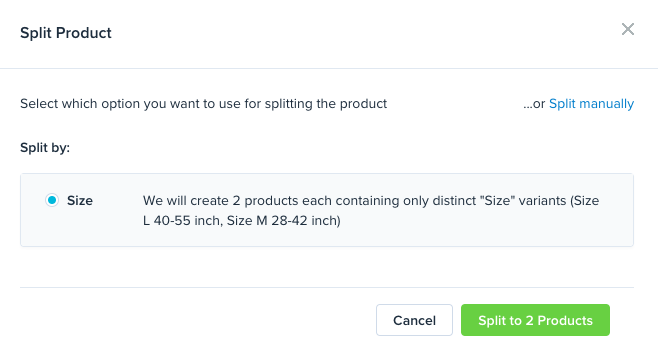 Otherwise, you can split the product manually and select which product variants you would like to sell in your Shopify store. For example, you can choose the "M" size variant and extract only this variant into new product. Note: When we create a new product, we disable the unused variants instead of deleting them. This allows you to easily enable a specific variant any time, even after you have split the product.